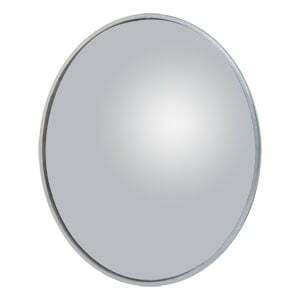 RETRAC stick-on convex mirrors are the convenient and reliable way to add visibility from any angle. 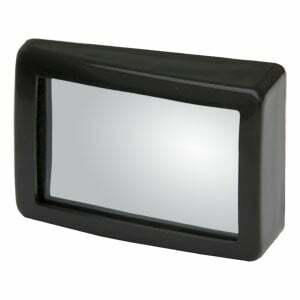 Stick-on mirrors go anywhere. 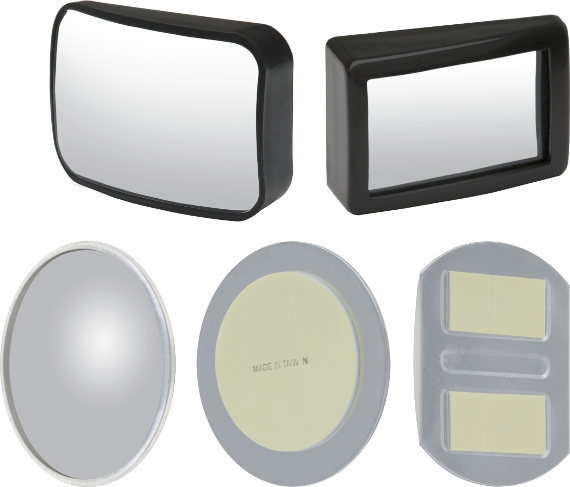 With their double-sided adhesive backing, a stick-on mirror can be placed on an existing mirror, a window, a body panel or anywhere else necessary to provide extra eyes on blind spots. 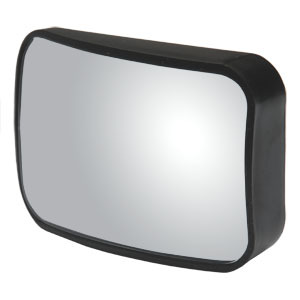 RETRAC stick-on mirrors are built with convex glass and lightweight construction. 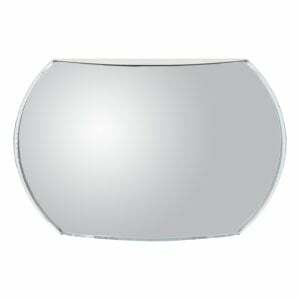 The convex glass provides a wide-angle view to maximum visibility, and the lightweight construction allows the mirror to be placed on a wide variety of surfaces without risk of falling off. 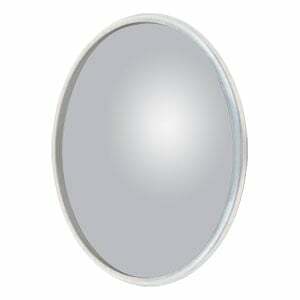 Stick-on convex mirrors are available in multiple shapes and sizes to accommodate any need, and they are available in durable, injection-molded ABS plastic or stamped aluminum. Both are completely rust-resistant and keep the mirror body lightweight.